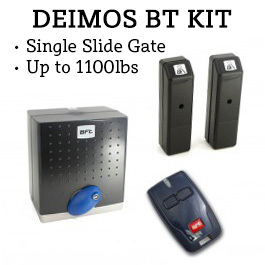 The BFT BT BAT (P125005) is a 24v DC battery backup system compatible with the Phobos, Igea and Kustos series of swing gate operators. 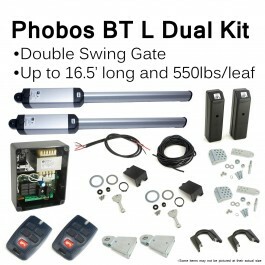 Prepare for unforseen emergencies with the BFT swing gate opener battery backup system. 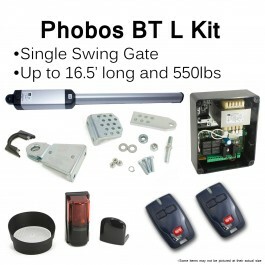 The BFT BT BAT (P125005) is a 24v DC battery backup system compatible with the Phobos, Igea and Kustos series of swing gate operators. 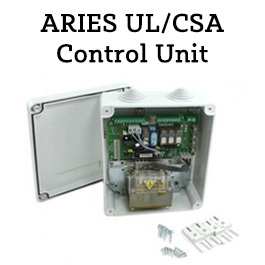 With this system you'll take all the worry out of power outages by ensuring that your gate opener will continue to operate even during power loss. 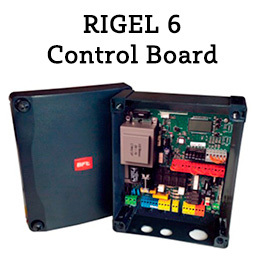 The smart charger board will charge the batteries while power is supplied, and automatically switch to backup battery power during a power outage. 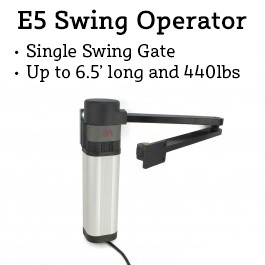 This ensures your gate will continue to run, no matter what the power situation.